A new collection of poetry from musician and poet Mark Laurent. Mark communicates through poetry that causes us to pause and look around, to notice things about the world we live in, about ourselves and about the God who created us. 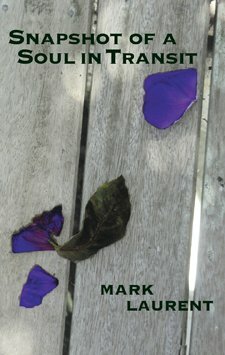 "Mark, your imagery is many things: beauty, strength, power, laughter, silence. I love this collection." "All Mark's contemplations ultimately lead back to a God who is there - a God who is present, and gives good gifts. The heart of the matter is that a 'soul in transit' is, in the hands of God, a soul being transformed and created."